My daughter’s birthday is coming up and right now she is really into Moana. I thought I would make her maui’s hook, and I couldn’t be happier with the result. Pretty quick and dirty and a whole lot of fun. Carved with a Holy Galahad, burned with a colwood detailer, and finished with laquer. Thanks to the wood wisperer for inspiration. Up next is Moana’s oar. That’ll be fun as well. Great job. I’m sure she’ll love it! Good luck on the fish fry too! 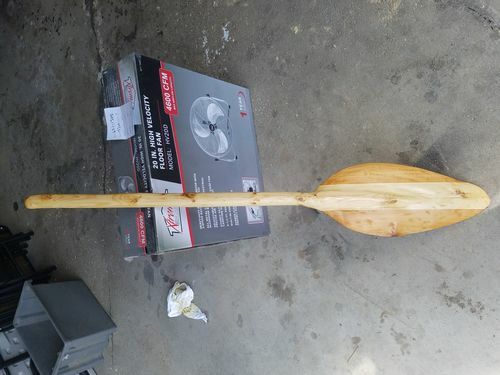 As promised Moana’s oar. After I posted the hook, I glued up a blank. This morning I shaped the oar. This one was a lot of fun.